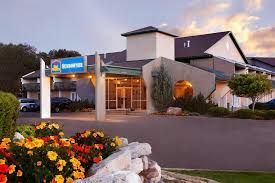 A 3-minute walk from the Overland Trail Museum, this straightforward hotel off I-76 is 1.7 miles from central Sterling and 14.1 miles from North Sterling State Park. The casual rooms and suites have free WiFi and flat-screen TVs, as well as minifridges, microwaves and coffeemakers. Family suites have pull-out sofas. Selected rooms offer whirlpool tubs and/or balconies. Freebies include full breakfast and parking. There's also an indoor heated pool and a seasonal outdoor pool, plus an exercise room.